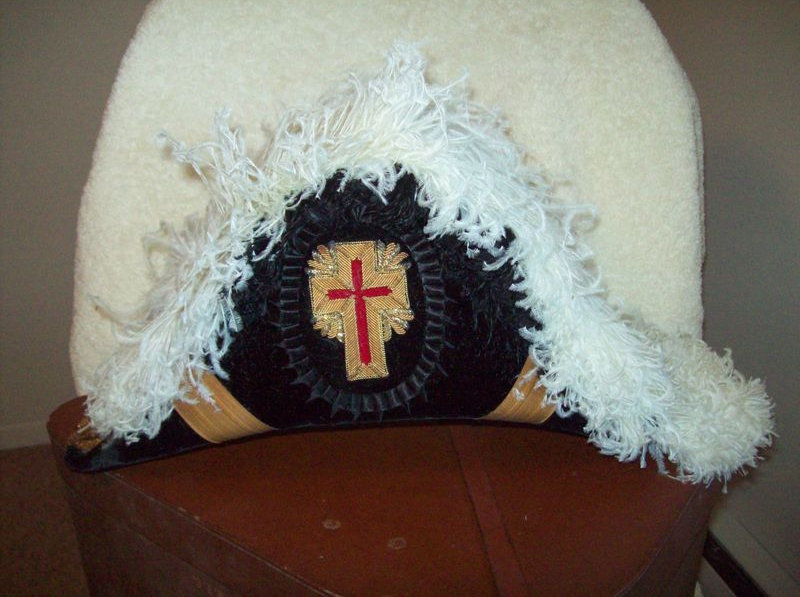 While scouring an interesting second-hand store in Seattle in the ’90s, we discovered an elaborate uniform worn about a century ago by a Knight Templar. The suit included an elaborate array of belts and sashes, a thousand small buttons, and a feathery hat, which I later discovered was called a “Chapeaux.” The Chapeaux’s feathers were actually ostrich plumes. Best of all this faux-military suit fit me — a tight fit to be sure. Ted and I had loads of fun doing “HelL.A.” and I was sorry to see him go, but was glad to see that cocktail-fanatic and excellent photog Scott Lindgren took on the job. A year later, Soqui came up to visit me in Portland OR and he took the opportunity to take some shots of me in my Knight Templar outfit. One was used for a satirical article about Freemasons for a magazine called The Nose, a take-off of the East Coast mag Spy. Shortly after the magazine appeared, a drunk driver piled head-on into my pickup truck, throwing me out a side window. Despite the coma and head injury, I recovered and carried on. Well, I’m still here, and have just sent to the printer the book Ritual America with the help of Craig Heimbichner and amazing designer Sean Tejaratchi. Ritual America is 8.5 x 11 in size, 380 pages in length, with over 400 images. It’s the work of a decade. Despite what others say, I don’t hold the Masons accountable for my injuries.